One of the best things about living in Denver, and especially in Stapleton where we have easy access to the highways, is that you can go on a daytrip in nothing flat. Recently, I discovered that Golden is less than 30 minutes away from us yet it has a really different feel and many fun things to do whether you’re with the kids or on an adult’s getaway. 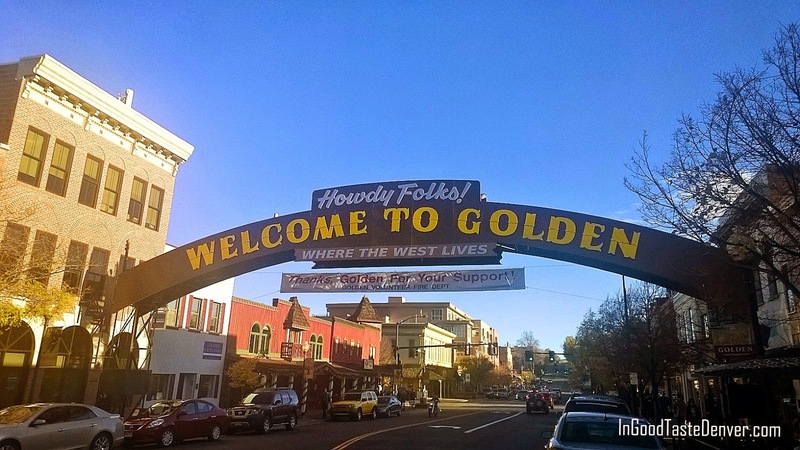 Start your visit to Golden at their trio of museums to get a grasp of what lead Golden to become the charming, quirky, hip place it is today. Start at the Golden History Center where you can shoot a game of pool in the room devoted to Golden anchor, Coors Brewing. Kids will enjoy the 3-D printer token they get to print and keep. Clear Creek History Park just out back lets kids walk around charming, historic buildings. They’ll appreciate their own homes and schools a little more after seeing the small homes that housed entire families and the one room school house. They’ll love feeding the fluffy, comical chickens in the hen house too. A short stroll away, the Astor House Museum is a hands-on, historic museum. It’s okay to touch things throughout the house, play games in the parlour and try on fancy clothing. Continue the explorations along the Clear Creek which runs through town with its crystal clear waters. 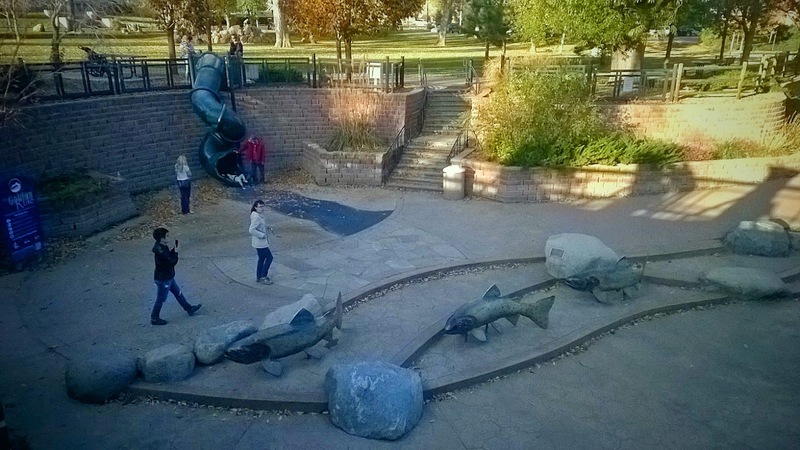 Golden has done a great job of making the most of the creek with paths, public art, bridges, a slide that goes from street level down to the creekside and plaques that tell more about the history of Golden and creek-side sculptures to amuse kids. It’s worth a long, subterranean walk to explore this nature level of Golden. Golden is also home to the Colorado Railroad Museum with real, historic trains and special events. They have The Polar Express™ Train Ride going on now. From the park above, slide down the tubular slide to Clear Creek with its fun sculptures. Although there are plenty of restaurants in town, judging by the lines, Woody’s Wood Fired Pizza is a big hit with families, in part, because of their pizza, salad and soup buffets. For something a little exotic, SherpaHouse Restaurant & Culture Center is a family-run, family-friendly Tibetan restaurant that has a great lunch buffet, a full dinner menu and lots to see. The Table Mountain Inn & Cantina, inside the Table Mountain Inn (see below) has great food throughout the day and a creative happy hour menu. A comfy room with balcony at Table Mountain Inn. To give yourself more time to really explore and enjoy Golden, stay the night. Table Mountain Inn is right on the main drag, Washington Street, making it an ideal anchor for your stay. The southwestern-themed hotel has a homey feel and is casual without feeling one bit like a hotel chain. Golden really shines during the holidays. 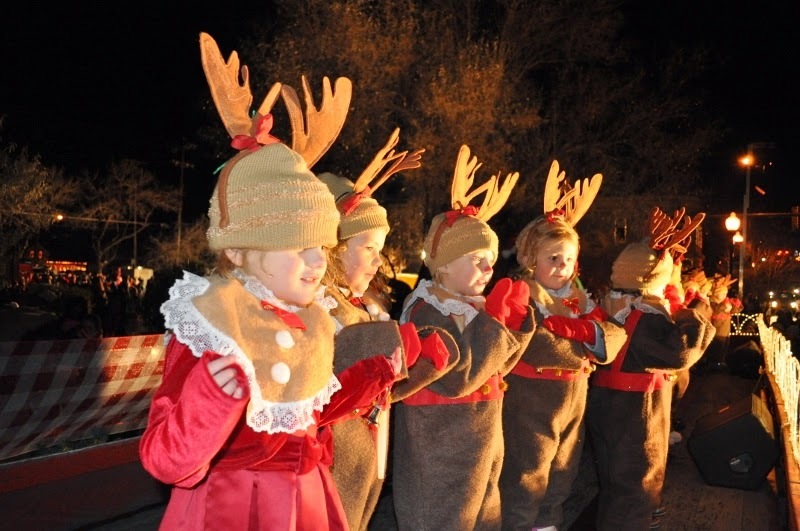 Head up on the weekends for the season-long Olde Golden Christmas. Check out the full schedule of activities. Golden is home to a nice collection of breweries and distilleries. 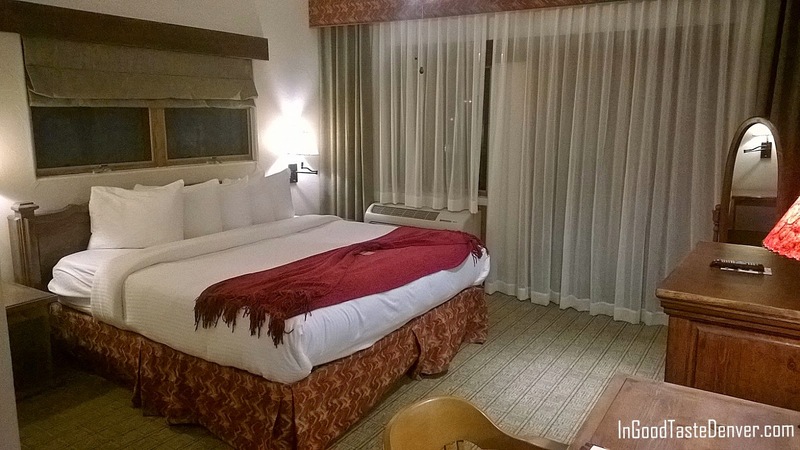 For more information about a Golden Getaway, visit the InGoodTasteDenver.com website.